There are numerous cannabis nutrient supplements on the market and most make fantastical claims. Some growers seem to be convinced that they need it all and spend hundreds of dollars on expensive supplements. 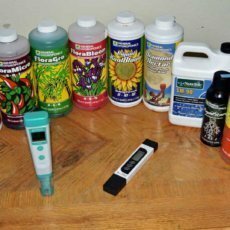 Other growers, seem to believe that it is all hype and the plants will do just as well with nothing but the base nutrients. As with most similar issues, the truth is in the middle. There are a lot of products that make claims that are hard to believe. 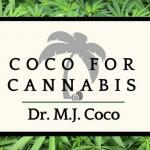 However, there are also some products that will yield significant benefits to your cannabis plants grown in coco. This article reviews the supplements that we actually use and the reasons that we use them. As you consider your own supplements and nutrients, we have several resources that you should consider. To begin, read our articles: “Principles of Fertigation”, “Understanding Osmosis and EC", and “Cannabis Fertilizers, Supplements, and pH"
When considering supplements, you should always be aware of your EC targets for your nutrient solution and the EC impact that the supplement will make. 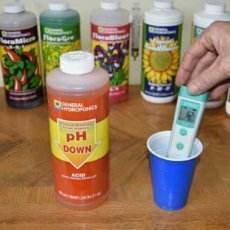 See our article, “Cannabis Fertilizers, supplements, and pH” to learn more. Whenever possible use supplements from the same nutrient supplier. When you mix nutrients from different suppliers it can throw off the NER and potentially create lockout. This is particularly true for Bloom Boosters, but is not a problem for supplements like surficants, humic acid, or silicon. 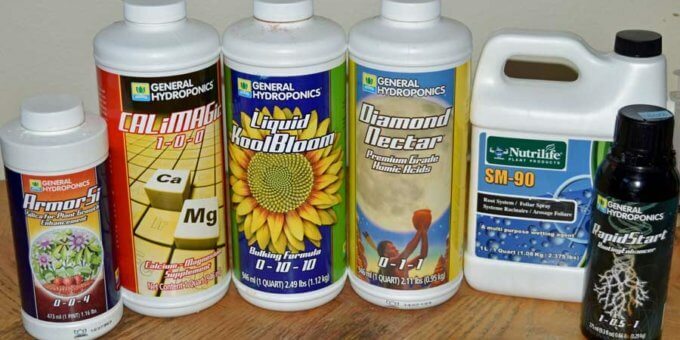 These are the specific nutrient supplement products that we recommend for the best results when growing cannabis in coco coir. In addition to the supplements listed below, you NEED to use Cal/Mag supplement in coco! 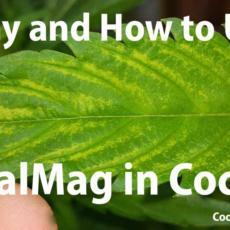 Be sure to read our article "Why You Need Cal/Mag in Coco"
Wetting agents reduce the surface tension of the water. This essentially makes the water wetter and promotes distribution of water. In coco, wetting agents promote the lateral movement of water in the media and ensure that the full volume of the media is properly saturated. This is useful when hand-watering and essential when using an automatic watering system. SM-90 is my preferred wetting agent, however it is currently unavailable. In its place, I recommend using a Yucca Powder. Yucca is an excellent wetting agent and there is evidence that it brings other benefits to the plant such as improved ability to handle climate changes and pathogen resistance. Doses are very small! If you use this RAW Yucca powder, the dose is 1/8 tsp per 10 gallons! I recommend measuring 1/8 tsp and dividing it into 10 piles. Once you get this sense of how much you need you can just eyeball a pinch. The dose doesn't have to be super precise, but it should be reasonably close. As their name suggests, root enhancers promote vigorous root development. These are not essential, but they are helpful when growing in coco. 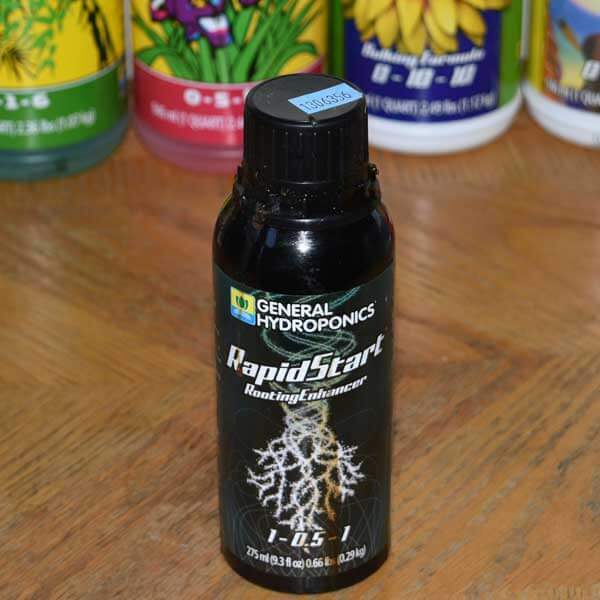 I use General Hydroponics’ “Rapid Start” supplement for a root enhancer. Rapid Start has no impact on EC or pH and it is recommended to add it last, after pH adjustment. It can be applied at the “aggressive” doses listed. The specific doses I use throughout the grow can be found in my feed chart. SM-90 also acts as a root-enhancer. 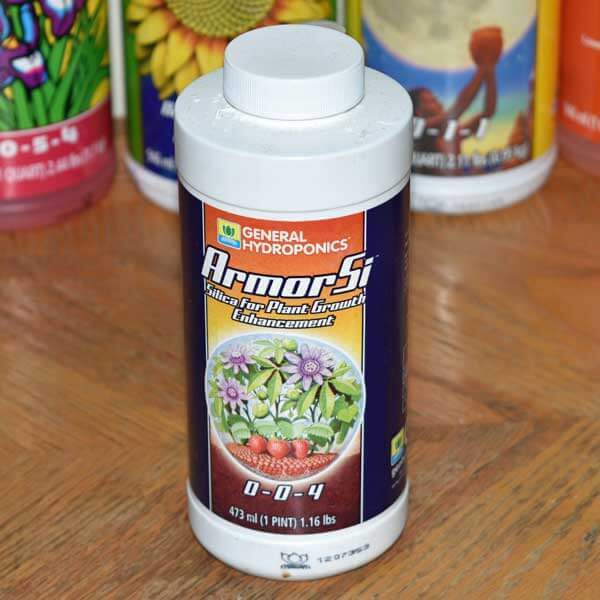 I use General Hydroponics “Armor SI” supplement for silicon at full label doses throughout the grow. Silicon is the second most abundant element in the earth’s crust, however, plants only have access to it in the form of mono-silicic acid. When growing in soil, there is usually adequate mono-silicic acid in the soil itself to support healthy cannabis growth. However, there is none in coco unless it is added as a supplement. Most nutrient lines do not include mono-silicic acid in their base nutrients, but silicon supplements are readily available. Due to the abundance of silicon in the earth’s crust, many growers mistakenly believe that you cannot overdose plants with mono-silicic acid. However, other crops have shown evidence of abnormal and deformed flowers from both silicon deficiency and silicon toxicity. Studies have shown that tomatoes, cucumbers, and strawberries have abnormal flower development, reduced fruit, and malformed fruit when not given adequate mono-silicic acid. 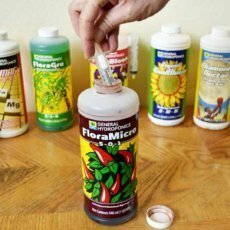 At the other extreme, excess levels of mono-silicic acid may reduce the plants absorption of other key nutrients and has been shown to deform flowers in gerbera and sunflower. It has minimal impact on EC, but is quite alkaline and will raise pH considerably. Humic acids are soluble components of soil organic matter, which play an important role in plant nutrition. Although the scientific understanding of humic substances is still developing, farmers around the world have known the benefits of supplementing their soils with organic matter throughout recorded history. Coco does not provide any soluble organic matter, so to get the benefits, humic acid must be added as a supplement. I use full label doses throughout the grow. It has no impact on EC or pH. During the flowering stage, cannabis plants can benefit from much higher levels of potassium (K) and phosphorous (P) and lower levels of nitrogen (N). The base nutrients on their own cannot create solutions with high enough ratios of P and K to N. Bloom boosters work with the base nutrients and raise the levels of P and K.
Rather than supplement the nutrient solution with additional micro nutrients, the primary role of bloom boosters is adjusting the Nutrient Element Ratio (NER). Although bloom boosters are not required to provide adequate nutrition, they are essential to provide cannabis plants with the best possible NER during the flowering period. Using bloom boosters encourages flowering, promotes the production of essential oils, and improves yield and quality. 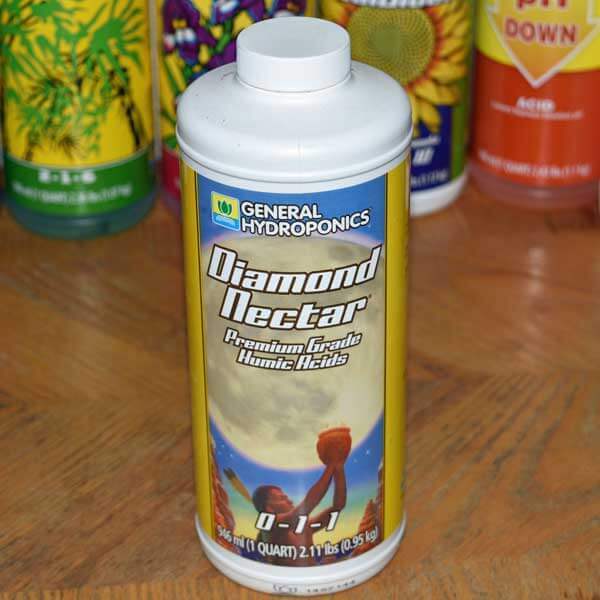 I use General Hydroponics’ “Liquid KoolBloom” supplement as a bloom booster. It has a very strong impact on EC. At 5ml per gallon, it will raise the EC of your nutrient solution by 350 microsiemens (0.35 millisiemens). Because of the EC impact it must be dosed carefully. During the late flowering stages, it is acceptable to run half strength on the base nutrients and up to the maximum dose for the bloom booster. However, EC limits usually require providing less than the maximum dose of bloom booster. During the last week of fertigation, the “ripen” phase on nutrient schedules, both “Micro” and Cal/Mag may be reduced to create additional space for bloom boosters. 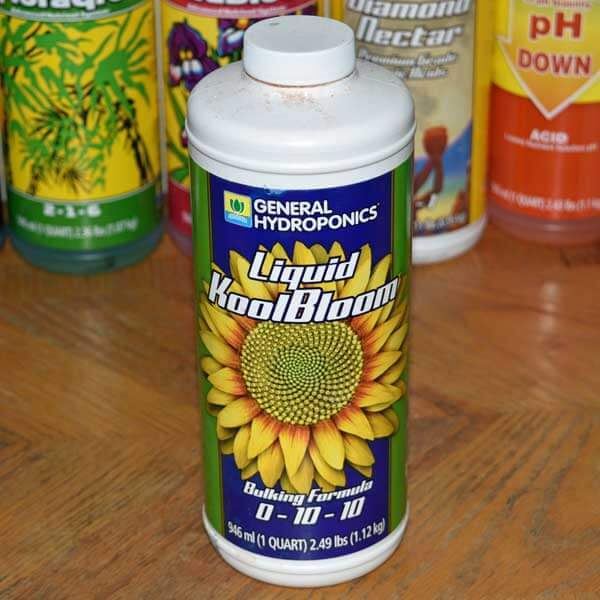 General Hydroponics recommends switching from liquid to dry Koolbloom during the “Ripen” week. If you are hand-watering there is no need for an anti-bacterial. However, if you are running an automatic watering system with a reservoir you need to maintain the reservoir with an anti-bacterial agent. SM-90 acts as an anti-bacterial and keeps reservoirs smelling fresh. However, it is inadequate on its own to prevent bacteria infestations in reservoir tanks. Hydrogen Peroxide (H2O2) is an effective anti-bacterial agent if given in the correct doses. The H2O2 that is used in horticulture is usually a 29% solution. This is far stronger than H2O2 used in first aid, which is only a 3% solution. It is important to use a solution close to 29% and to dose it at 2.5 ml per gallon. H2O2 not only kills bacteria, but it also oxygenates the water. 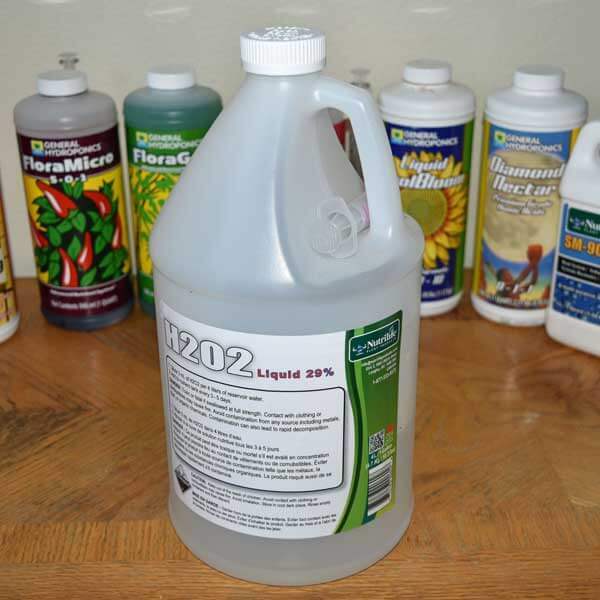 H2O2 can be purchased online, but it is generally a much better price to find it at your local hydroponics store. If that is not a possibility, here is an online option. Just wanted your thoughts on this?